ITP #18: In Episode 18, Anush shares how divine intervention has affected her life in a very personal way and given her an amazing gift. 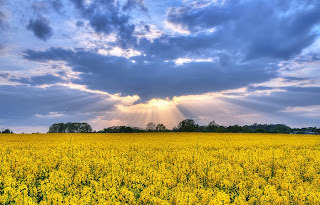 What is the meaning of Divine Intervention? Typically, divine intervention means God intervenes in the affairs of our world and/or our lives. Basically, whenever we pray then, we are asking God to intervene. Last week I shared with you about the book I illustrated and the role that prayer played in it. In the past, I've witnessed divine intervention many times on the streets of Skid Row when specific needs have been filled in front of our eyes. And today, I wanted to share with you how divine intervention blessed me with a wonderful son. My son Nareg. I have been blessed with two children in my life. One grew in my belly, and the other grew in my heart. Despite the years that have passed, and the number of times that I've told this story, the events are still amazing to me - the way it all fell into place - the way that it was meant to be. The way that - well...the divine intervention of it all. But to fully understand how the puzzle all fit into place, I have to take you back a bit. Back in 1981, my husband and I were expecting our first child. We were so excited. But our happiness was shortlived when in December of that year, right before Christmas, I miscarried. That was a tough year as we had to un-tell everyone that we were no longer pregnant. I was so sad. Depressed. About a month or two after the miscarriage, my mother called from work. She was working at the Armenian Church Diocese, and she had heard about a baby whose mother was ill and had passed away. The baby's father was distraught and didn't know how to care for the baby. Did we want to adopt? Adopt?! Us? Me? I never thought of that. I mean, yeah, that would be great...but now? Talk about bad timing! I just lost my baby. I wanted to be pregnant again. I wanted to have my own baby. Is that so wrong? No, I told my mom. I can't do it. I said no. A year went by. Two years. Three years. I was the first of my friends to get married. But then slowly, my friends all got married after me....and all were getting pregnant now. I kept getting invited to baby showers. And at first they were great. But after a while, it just became too hard to go. I couldn't handle the questions, "When are you starting a family? What are you waiting for? Don't you want kids?" I knew people's questions were natural and good natured, but inside, it was too much to bear. Pretty soon, I made up excuses why I couldn't attend the showers...then the baptisms...and the first birthdays. After about 4 years, my husband and I started thinking that we had better look into adoption because the reality was that conception might not happen. I contacted the county, looked into foreign adoptions, put our names on waiting lists. And we waited. And then about 2 years later, we got a call from L.A County. Our application was finally up for review!! We were so excited. We met with the case worker who was going to help us through the process. We filled out the applications. And then she said, "Now, once we start the process, if you pull out for any reason, your application will stay open for a year." I asked her, "After waiting so long, why would we pull out?" She said, "Well, if you get pregnant..." I laughed. "Right, I said....that's not going to happen." I didn't know it at that time, but I was pregnant! At first I was a wreck. We were so nervous about miscarrying again that we decided not to tell anyone except immediate family (and my friend Laura, of course!) that we were expecting...until I was showing. I remember being 5 months pregnant and at a friend's wedding when we finally relaxed enough to share our joy. We put the adoption on hold....and in May of 1987, our daughter Ani was born! We were thrilled. And fell right into being parents. Parenthood was (and still is) a joy. And we embraced our mommy and daddy-ness and felt very, very blessed. About the time Ani was 2, we started thinking about a second child. We each had grown up with siblings and thought how nice it would be if Ani had a sister or brother to grow up with. We were hoping to get pregnant again, but this time, I was open to adoption if it didn't work out. I called our case worker to get the process going again...but 2 years had gone by, so we had to start back several steps. But in the meantime, life was good enjoying our little girl. Another year went by. I had been serving on the summer camp committee for our Diocesan church camp for a few years. The session of camp had come and gone, and so had the new year, and we were meeting to start work on the coming summer sessions. One of our discussions was always about what went well the previous year and then how we could improve. They discussed the busride back to the parishes...and then our chairman mentioned that there was a problem with a child not knowing who was going to pick him up at his parish. They had to call around. And it seemed that this child's father had been ill, and several families within the parish had offered to help during the father's illness. Hearing this broke my heart. The seed had been planted. The following month we met again. This time it was at one of the classrooms in the St. Peter parish. We had taken a break for lunch, when a little boy came into our room, approached Sandy our committee chairman, and carried on a conversation with her. I really got a kick out of him. He was about 8 or 9. Wirey, short cropped hair and the biggest brown eyes I had ever seen. He was so at ease with the adults in the room. When he walked out, I asked Sandy about him. She said, "That's Nareg. He's the little boy we were talking about last month. His father's been ill, and he's been looking for someone to take care of him." She told me how friendly and good natured he was. A couple of the guys on the committee said he was "a handful" up at camp. So I asked further. And Sandy said to contact Deacon Hratch about him. That Nareg's father had asked Hratch to be the go-between. I couldn't believe my luck. Hratch was my brother's dearest friend. That afternoon after the meeting I went home and told my husband about the cute little boy. About Hratch. My original thinking was that maybe we could be the only family for this little boy. I didn't want him bouncing around between families. My initial thought was that we could be his go-to family when his father couldn't take care of him. So after dinner that night, I called my brother for Hratch's number....and gave him a call. It seems that Nareg's father needed help with his son. He was older, a widow, and was doing the best that he could to raise his young son at the home of his father-in-law. His mother-in-law had been helping raise Nareg after his wife died, but recently she had passed away as well, and now it was these two men that were raising this very rambunctious little boy. One thing that was certain was that his father loved him very much. And it was because of that love that he wanted a family for his child. I talked to Hratch about my idea of being Nareg's extra family when needed. Hratch spoke to Nareg's father, and we arranged to meet him after church on Sunday and have him come home with us for a couple of days. That Sunday after church, we met in one of the Sunday school classrooms. My husband, Ani and I. I remember walking in and there was Nareg with his dad along with Hratch. His father had packed Nareg's suitcase. We met, talked, and exchanged phone numbers. And Nareg came home with us to spend the week. And what a fun week it was. Nareg was very cute, and very knowledgable about all kinds of facts. I remember the first afternoon, having lunch on the patio. Mid-bite he put down his hotdog and said, "Did you know smoking causes lung cancer?" We thought this was pretty funny since neither my husband nor I smoked, so we didn't know where that came from. One thing I noticed was that he wasn't used to doing things together, as a family. We thought we'd take the kids to the Kidspace museum in Pasadena. As soon as we got there, Nareg was off! Climbing, running, spending time on his own, talking to other kids. He was very social. But he was also very gentle and sweet with Ani, who was 3 at the time. We made sure that Nareg called home that night. I could hear him telling his father about what we had done, where we had gone. Afterward, I got on the phone to speak to his father as well. And this went on for a few days, always ending with the two of us talking together before hanging up. On the third night, Nareg's father brought up the possibility of us adopting Nareg....eventually. When a child is 9 years old and close to his father, you cannot adopt and cut off ties with his biological father. He told me that he couldn't bear that. I could completely understand that. We wouldn't want that for his father or for Nareg. There was no rush, I told his father. We could just continue on as is and see how things go. It was July, and my father's birthday. We had planned a family outing to the beach. This was still the first week that Nareg was staying with us. And my parents hadn't met him before. My father loved kiteflying, so kites and kids in tow, we went to pick up my parents before heading out to Santa Monica. As soon as we pulled up to Babajan and Mamajan's house, the kids raced out the car doors and up the steps to ring the bell. My mom opened the door, Nareg said hello and ran in right past her, feeling totally comfortable. My mom had a big smile on her face. I had told my mom about the possibility of adoption over the phone. She called Nareg over to her to meet him in person. She hugged him and sent him over to Babajan and she turned to me and had tears in her eyes. I said, "Isn't he cute?" She looked at me and said, "He's come to you a second time. He's meant to be yours." I asked that she was talking about. She said, "I know who this little boy is. Remember 9 years ago when I asked you if you wanted to adopt. You had just lost your baby. You couldn't do it. This is the same little boy...only 9 years later. God wanted you to have him then. You couldn't do it. Now he's brought him to you a second time. You have to say yes." That summer, Nareg spent the weekdays at our house, playing with the kids in the neighborhood and with Ani. On Friday evenings we'd take him to his father's home and he'd spend the weekend with him until I picked him up after church to come home with us. By the end of the summer, we asked his father if he'd like Nareg to enroll in school in our area. In order to do so, we needed to become Nareg's legal guardians so we could sign paperwork for the school, deal with teachers and field trips. We applied to be his foster parents, all with his father's consent. The county came out and investigated us and we passed that hurdle. The entire time we never discussed adoption with Nareg. If it happened, it would happen. But for the time being, the situation was okay as it was. And then one afternoon, I had come home from school, and my husband said, "Nareg has something he wants to ask you." Nareg and Ani were both standing in the kitchen. I asked what it was that he wanted to ask. "Will you adopt me?" And that's exactly how it happened. The day of Nareg's adoption, we went to court with both Nareg and his father. Together. We met with the judge, we signed the papers, and then we celebrated by going out to breakfast together. Nareg still continued to go visit his father on weekends. It wasn't easy, but it was the right thing to do. Nareg was the son that we always wanted. And though in the beginning, Ani wasn't too thrilled because all her friends had baby brothers or sisters and she got a big one - I still remember her putting her hand on her hip and asking, "When's he going home!?" - the two of them grew close as brother and sister and are close to this day. Sadly, a few years after the adoption, Nareg's father passed away. I often think about him and how much he must have loved his son to make sure that he was loved, cared for, and placed with a family that could share his love. He gave us a beautiful gift. We are blessed by God to have such a wonderful son in our lives. When I think back on how everything fell into place - I understand that it wasn't coincidence. There was a divine hand in it. Nareg needed a family and we needed a son to love. On this occasion of Nareg's anniversary of joining our family, I wanted to share this beautiful story that is a reminder to me, every day, of the blessings that God gives us. Sometimes they come to us easily. And sometimes we have to be hit over the head with them because we are resistant...but they are there nonetheless, ready for us when we are ready, and when we open our hearts to love. ITP #17: In this episode, Anush catches us up on her trip to the midwest, the homeless outreach, and some new exciting news....and it's all got to do with some divine intervention!! 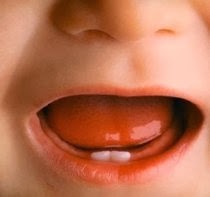 first tooth, and then she got 6 at once! Because our family was spread out, we had planned a vacation where we'd all meet at Lake Mead. My brother's family coming in from the Cupertino area...and us from L.A. We did Ani's hadeeg on the grassy lawn of a hotel in Barstow! I had brought the hadeeg wheat and the items, and my two brothers had brought a racing form to put in front of Ani....(CHAR!!!) Of course that's what she grabbed and they were convinced she'd be a gambler! But I made them start over, and she picked up a pen. And if you know Ani, you know she likes to write, draw and blog...so it worked on that one. And I think she's been known to gamble a bit as well! Anyways, it's a fun tradition. I wrote a piece about it on HubPages, so if you'd like to learn more about hadeeg, check out the following link: Here's the link to an article I wrote about it if you'd like more info about this tradition. I wanted to also catch you up on our homeless outreach at Ascencia, Glendale's homeless shelter because I wanted to share what happened that evening because it was just one of those divine intervention things that are too cool not to share. So two weeks ago, after church, I was approached by Deegeen Azniv. She told me that she had brought a bag of clothing for the homeless outreach, but she had put it in the church office. She wanted to make sure I took it with me to the shelter and asked me to go put it in the car. So I went to get the bag from the office. When I got there, there were two bags. A bag of clothing in a Macy's bag, and next to it, a plastic bag as well. I grabbed them both and put them in the back of my car. I came back to join the crowd during coffee hour, and thanked Deegeen. Azniv for the bags. She told me she had only brought one bag...not two. But I had already loaded the clothes in my car so I just left the clothing there anyways. On Thursday, I pulled up to the shelter, opened the hatch to unload the food and soon some of the resident men had come out to help me bring in the food for dinner. A man with a shirt wrapped around his waist came up and rather than help, he asked me if I would have a pair of pants I could give to him. He told me that he had ripped his pants and that's why he was wearing his shirt around his waist. He said he was a 9 year veteran, and that the clothing on his back was all he owned. Well, as usual, I don't know what I have donated in the bags. People save their clothing for our outreach, and bring me their bags which I store in my garage til we're ready to go either to the shelter or to Skid Row. I told the man that we could look and hopefully we'd find something. So there we were going through the bags of clothing and they were all either women's clothing or tshirts. No men's clothes. I opened the back passenger door of my car and there was Deegeen Azniv's bag. We looked through that bag as well...there was a towel which the man was grateful for...but no pants. And finally, I brought forward the extra bag. Remember, this is the bag that Deegeen Azniv didn't give. In fact I wasn't even supposed to bring that bag with me. But there, at the very bottom of the bag....was a pair of jeans. When I pulled them out to hold them up for the man, we found that they were the exact perfect size. Now THAT is some serious divine intervention! And there's one more cool thing to the story. The man that received the pants was not even a resident of the shelter. Edward, the resident manager told me that the man had just stopped by as he was passing through. And I wasn't supposed to have the extra bag of clothing, but somehow, I picked it up...and he happened to be at the shelter that night, ready to receive a pair of pants that I had brought just for him. I love it when that happens. I have another story about divine intervention that I wanted to write about. It revolves around another exciting thing that happened this past week. My book is finally published!!! 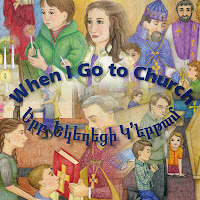 This is a book that I illustrated for the Eastern Diocese of the Armenian Church called "When I Go to Church". It was a labor of love. The book is beautifully bound on heavy board for little fingers. 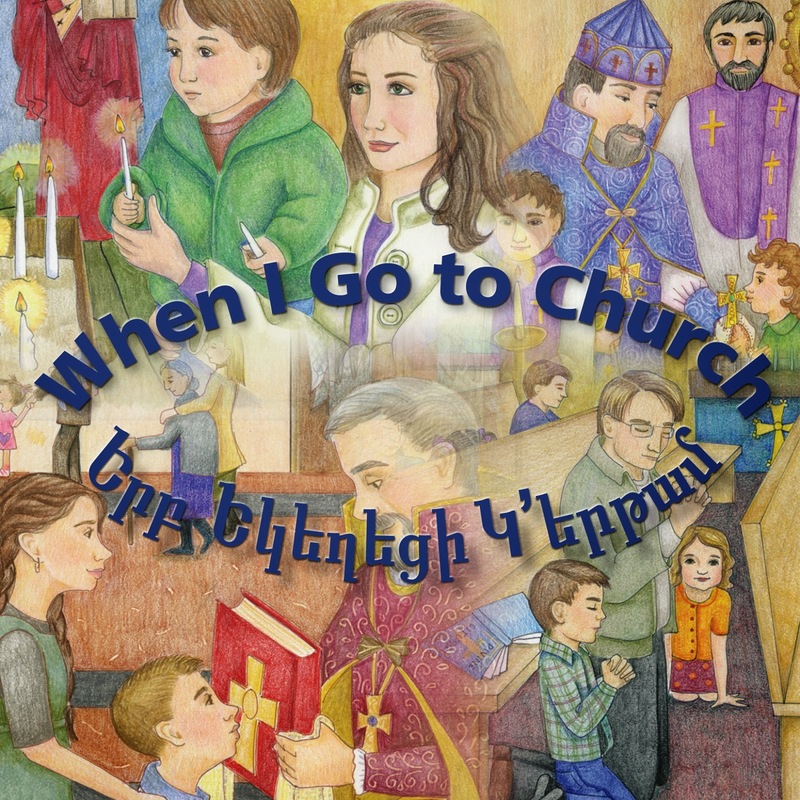 The idea for having this book is to keep them in the pews in all the Eastern Diocesan churches so that when families attend church with their children, their child can sit and look at this book showing them what we do during the Armenian Orthodox services. Familiar scenes to our service. Working on this book was a lot of hard work. And there were many revisions. The drawings had to be correct, and I never realized how everything in our church has a purpose and reason. For example, I had to do a whole new drawing because I had forgotten that the priest holds the gospel book with a cloth. Or that the deacon holds the poorvar (censor) chain a certain way. There were all kinds of details to pay attention to. I would do the rough drafts, scan them send them via email to NY for clergy's approval, and if all was right, then I could go ahead and work on the ink and color. We finally got the drawings done...and were waiting for printing when Hurricane Sandy hit and that pushed the print date back. But sometime last week, a package arrived from the Eastern Diocese of the Armenian Church. I opened it and there it was! My book. It's finally in print. As cool as it all is, it hardly sounds divine, right? Well, there's a back story to how it all came to be. And that's what I wanted to share with you. It was all due to a prayer. I went to school to be a children's book illustrator. Unlike illustrators today, back in the day, we had to learn how to draw by hand...not by computer. I have a degree in illustration and graphic design. But what I needed a degree in marketing myself. Self Promotion - which I have not been very successful with. So although I could draw, I was not able to make a living with my art, and so I have done all kinds of jobs throughout my life. And currently, I have a desk job managing property accounts for an insurance broker. It's one of those kinds of things where on a daily basis I ask, "what am I doing here?" because although I have been at my job for 10 years now, it still doesn't seem "natural" to me. So one afternoon, I was especially frustrated, and at my desk, I said a prayer. I asked God to use me and my creative talents so that I would be able to do what I love (create) and bring Him glory. That was it basically. But we have to go back. About 15 years ago, I went to a Sunday School conference to hear two speakers from the Eastern Diocese Department of Religous Education speak about curriculum. Our church was using the Eastern Diocese Sunday School curriculum and I loved the illustrated books. I had the idea to take my art portfolio and some samples to the conference to show these two women - Nancy and Elise. Their presentation at the conference was wonderful. And afterward I went up and introduced myself and showed them my artwork. They liked it, but sadly, they had just redone their curriculum and they didn't need any artwork done at that time. I left them some samples of my artwork. Fifteen years later, the idea of this book came about. Elise was going through her files to find the right illustrator for this book, and she found my samples. Mind you, this was about a month after my prayer to God. So she pulled out the samples and she wanted to call me, BUT, since I gave her those samples, a lot had changed. My name had changed after I remarried. My address had changed. My phone number had changed. And she didn't have my email address (I don't think I even had an email address back then). She couldn't find me. But this is the amazing part. Just by chance, in NewYork, there was a girl from California who was visiting the diocese. The drawings were in Elise's office, when this girl happened to visit. When Elise showed her my artwork and told her she wasn't able to find me, the girl stopped and looked at the samples. She noticed my last name and said, "I think I may be friends with her son on Facebook?" She contacted my son Nareg....and the rest, as they say is history! Nareg gave her my email address, and Elise was able to contact me about illustrating the book! Another cool Divine Intervention, right? So never underestimate the power of prayer (and social media!). God has us all in His hands. We just have to trust and believe in those prayers! How about you. Have you had experiences with divine intervention? I'd love to hear about them, so leave your comments on my blog!! So I'm excited for this coming Sunday, October 27. We're having a book signing with the debut of the book right after church. A lovely member of our church family, Mrs. Nina Simonian, donated 100 of these books to our church to be used by the children of our parish during badarak. So our church will have these books in our pews for children to use during church. So come down to St. Peter on Sunday, October 27! ITP #16: Health Insurance - it's more than just having financial coverage for your medical needs. On this episode, we talk about the body/mind connection, healing and the trials and tribulations of battling cancer with and without medical insurance. Tune in - Inside the Pomegranate! This week we heard about our government shutting down. The Republicans are opposed to the Affordable Care Act - or ObamaCare. I think though that they are hurting their party by their opposition. With healthcare available to those that couldn't afford it in the past, the Democratic party will gain more supporters, right? Eventually, something's got to give. And hopefully, we can have affordable health care sooner than later. And that's what I wanted to talk about. Healthcare and how important it is, not only because we can get the much needed care we all deserve, but because of the emotional effects of it as well. As you all know, I have had three rounds of cancer. The first time was 20 years ago, back in 1993. And then in 2011, I was diagnosed with two types of cancer, just 6 weeks apart from one another. Colon cancer and breast cancer. The second time with cancer, I was so much calmer, so much more "ready" for the battle. I took my cancer in stride. I was going to fight this with all I had. And I did, and thank God I'm here today. But these past few weeks while hearing about the government shutdown, seeing people's posts on Facebook about finally having a chance to get some medical coverage, well, it had me thinking about myself, and my battles, and I came to a realization about my fight with cancer: my diagnoses with cancer in 2011 was much less traumatic, even though the cancer itself was much more extensive than my first battle, and this was all because of the fact that I had health insurance. I had no medical insurance in 1993. When I got diagnosed with cancer the first time, I was 34. and a mother of two children - 6 and 12 years old. I was working as a teacher at St. Gregory Hovsepian School in Pasadena and we were not offered any benefits at all. My children's father freelanced as a commercial photographer. It's hard enough having your own business. And with two children, we couldn't afford health insurance. My cancer diagnosis was terrifying. I didn't know anything about breast cancer - but believe me, I learned quickly. I went to my primary care physician after symptoms, he sent me for a diagnostic mammogram, and when it was determined that I needed a biopsy, he sent me to a surgeon he knew of. After the biopsy came back positive for breast cancer, that's when reality hit. How would we ever be able to pay for this? Of course we would do whatever we could, but what was all this going to cost us? My doctor was a godsend. We needed to find a surgeon. He made calls and explained my situation. He had a patient that had no insurance and she needed surgery. Could they help us? He found a surgeon for me, and I went to see him. Even though they had found the cancer early, and it was Stage 1, this surgeon suggested I have a double mastectomy because chances of recurrence would be greater because of my young age. I was ready. I gave my okay...just do it! I just wanted it out of my body. I had children to raise. And here was this doctor who was going to help me....after all, beggers can't be choosey, right? I had no insurance. Who was I to challenge his medical opinion. It was my mom that insisted on a second opinion. I was resistant. It wasn't until just this past week that I realized WHY I was so resistant to that second opinion. After all, this is what I tell so many people that get diagnosed and ask my advice. Seek a second opinion, or a third or fourth opinion til you find a doctor who you feel will help you regain your wellness. So what was so different for me then? 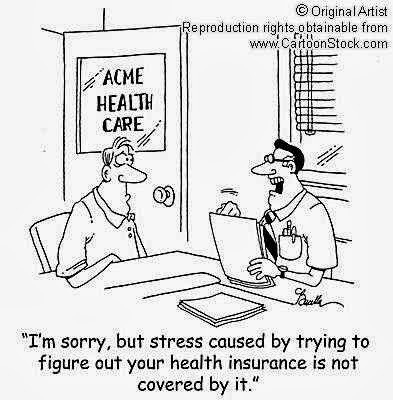 Simple: No medical insurance. As a young mom, I was worried about how this was all going to impact the family. My healthcare was taking food out of my children's mouths. At least that's that I felt like. I felt this degree of guilt. Going to a second surgeon was going to mean another consultation fee, another bill....and after all, didn't I just want the cancer out of me? So what was the point? But there was a point! The point was that there are different methods of treating. A surgeon will treat by cutting. My mom took me to an oncologist. He understood my fears, talked to me about options and treatments. I will never forget Dr. Tchekmedyian. He refused to take money from me. I had to pay for my labs and my radiation therapy, yes. But visits with him were gratis. He is an angel. We decided that we weren't going to go the route of mastectomy, but I still had to undergo surgery and then a six-week course of daily radiation therapy. Dr. T would be my oncologist, and the first surgeon I had gone to see (the one who wanted to do a double mastectomy), he would perform the surgery. Now all we had to do was set the date. The surgeon gave me a discounted rate of $6,000 to perform my surgery. But the hospital didn't want to admit me because again, I had no health insurance. They told me to go to the county hospital that admits everyone. But if I did, I wouldn't be able to use my surgeon. We had to negotiate with Glendale Memorial. We agreed to give them $3,000 up front for the hospital stay in order for us to schedule surgery. We could put that on our credit card. Once we agreed to that, we could schedule the surgery. Looking at the calendar there was one day that was totally empty. Guess what day that was? Friday the 13th. No one wanted to have surgery that day. So that's the day I chose. The plan was this: book the surgery for 5:00 a.m., undergo surgery, and then recover til 4:00 p.m. and make sure you're out of the hospital before 5:00 p.m. to incur less charges. That way, I wouldn't be charged for a full day. They gave a list of my medications to my husband who was told to get them from the local drug store because they'd be much cheaper than getting them from the hospital. And then even though I'd have drainage tubes and needed care, I would be checked out of the hospital and allowed to go home. A nurse would teach me how to monitor my drainage and change my dressings. Seriously. When I write this now, it's like something from a Halloween thriller, right? So that's exactly what happened. The morning of the surgery, we put the $3K down on the credit card. Prepped for surgery. And that's all I remember, until I woke up feeling like a I had been hit by a truck. I couldn't use my right arm because of the surgery and the lymph node dissection. I was bandaged with tubes coming out of my incisions. It's like a dream but very vivid in my mind's eye. My mom was sitting in a chair looking worried. I was in and out of consciousness. My husband came in with the bag holding the meds. There was a nurse that kept monitoring something. Then the doctor came in....it was sometime around 3:00 p.m. He told my mom something and she started crying, but happy crying. Later I found out that my lymph nodes tested negative. I don't think I said much. I was in a fog. Then before I knew it, the nurse came in. She helped me up. Sat me down, and started showing me how I would need to change my drains. They gave me the doctor's number to call and report the fluid drainage daily and gave me instructions on when to call if I felt that I had an infection. They gave me a sheet of exercises to do to regain mobility in my right arm. It was all this information being thrown at me, and then the next thing I remember is sitting in the car with my husband at the wheel, me in the front seat and mom in the back. I was wearing the hospital gown and a robe and being driven home. My children were 6 and 12 years old. I remember their excitement as the car pulled up. And I remember their scared faces as they saw me coming up the stairs to the house. They had made little signs all over the house that said, Welcome Home Mommy. Crayon pictures of flowers and happy faces. I remember there was even a sign taped on the TV. I remember sitting down in the recliner and being so medicated that I couldn't carry on a conversation with my children. What I wanted to do more than anything was tell them I loved them and that everything was going to be okay. That we were going to make it through this, but I couldn't. I was so out of it. I wanted to hug them but I was bandaged and my right arm didn't work. Over the next few days things got better. The fog lifted. I changed my drains. The American Cancer Society sent women over to the house to help me with arm exercises to regain my movement. And then a few weeks later, once the incisions started healing, it was time to schedule radiation therapy. We were living in La Crescenta, and because the radiation therapy was going to be administered under Dr. T - whose office was out of St. Mary's hospital in Long Beach, that's where I had to go for daily treatment, 5 days a week for the next six weeks. That's about an hour's drive one way. The bill for radiation therapy came out to a little over $20,000 (remember, this was 20 years ago - imagine what it is today!) I went through therapy, and as tiring as it was, everything went smoothly. I had left teaching when I got diagnosed and had taken my daughter Ani out of Armenian School as the commute would have been too much for me at that time. The next year I went back to my teaching job. The administration was very happy to announce that this year they were going to offer us teachers health insurance. YAY! I remember coming home with the packet they had given us for review. The Kaiser representative came to talk to us the following day. They would cover us for everything - except pre-existing conditions. Was cancer a pre-existing condition? You betcha. Sorry. No cancer coverage for you. I had to wait 5 years before I got full coverage. Seriously. But it all had a happy ending. Eventually I did get coverage...and then eventually, I changed jobs and got a full benefits package at my new job. And then flash forward 18 years to 2011, and I got diagnosed first with colon cancer and then with breast cancer. Except this time, I HAD medical insurance. When I look at it now, the peace of mind was amazing. Having healthcare insurance is a blessing. When you are faced with a life-threatening illness, whether you have a family to raise or not, the stress and strain of worrying about how you're going to handle it financially, can hinder your wellness. Financially, it was tough enough to deal with college tuition - I was so relieved to know that my insurance was going to be there for my surgery. And what a difference it was. Surgery was scheduled effortlessly. I didn't have to put money down up front. I was treated just like everyone else....everyone else with insurance, that is. And because of this luxury, I could focus on wellness. I could focus on being healthy enough to attend my daughter's nursing school graduation. I could focus on healing from the inside out....and from the outside in. I understand that it all costs money. I understand that our country is concerned about budgets. But what I don't understand is that we seem to have billions of dollars for war and weapons. But we don't ever seem to have the funds for education and healthcare. We're offered "life, liberty, and the pursuit of happiness," but how can we live life fully when we are faced with medical needs and are so wrought with guilt over spending the family's last dollar on our survival? The toll weighs heavy on our shoulders. We're all struggling as it is. The Affordable Care Act would keep insurance company's from denying coverage for pre-existing conditions. It would allow those that have no coverage, affordable health care. I know it will have its problems. I know there will be opposition. I know it will not be the best for everyone, but it will certainly bring us one step closer to becoming a more compassionate and caring nation - one that's concerned about the health and well-being of ALL its citizens, not just the ones that can afford it. I think I went on too long, but so much of those emotions came flooding back this week. It made me realize how much I appreciate the healthcare coverage that I havenow through my current job. But it also made me even more passionate about healthcare reform for all.